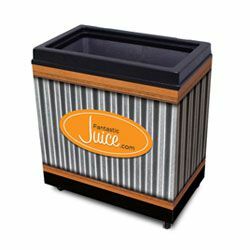 These functional and mobile juice bottle merchandisers are easy to move so you can display in the most high traffic areas of your store. Optional sign kit, bag dispenser or custom logo available. 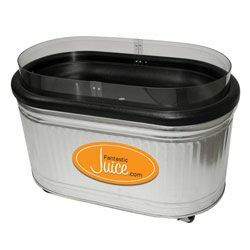 Drain kit makes these units perfect for displaying your private label bottles of fresh squeezed juice over ice. This multi-purpose unit is adjustable for chilled or frozen products (freezer mode: 0-5° F. refrigerated mode: 33-38° F). With three cubic feet of capacity, you get 25” x 13” x 15” of interior space for product space. Four heavy duty casters assist in moving this display to where it’s needed most in your location.